Five years ago, I pitched a crazy idea to an internal innovation team at Dell: what if Dell took its highest end laptop, pre-loaded Ubuntu on it, included all the needed drivers and targeted it at developers? Rather than a no-brainer, this proposal struck the innovation team as counter-intuitive. 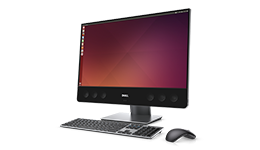 Dell had already been successfully selling Ubuntu preloaded on systems but these had been lower end offerings. Would customers really be willing to pay for Linux-based high-end systems? And what did developers really need or want? The innovation team mulled the proposal over and after a month gave me the green light. I was given a small pot of money and six months to see if the idea, christened “Project Sputnik”, would fly. From the start, one of the key tenants of the project was that the effort would be conducted transparently and publically. Developers would be specifically asked what they wanted in a Linux laptop targeted at them. The idea was presented as an exploratory project that but if things went really well, then it might just become a real product. It didn’t take long to learn that the idea of an open source based laptop that ‘just worked’ appealed to a large audience of developers. Specs and capabilities that made up the ‘perfect’ developer laptop came pouring in. A few months into the project the tipping point came in the form of a beta program. When the beta program was announced, rather than a couple hundred responses as our team expected, 6,000 people from around the world raised their hands to participate. With this, the team knew this project deserved to become a real product. Seven months after the idea had initially been presented, the XPS 13 developer edition debuted. In the last two years the project has kicked into high gear with 100% year over year growth. As the Sputnik line of developer systems goes forward, it will continue to evolve. As it has been since the effort began, this evolution will continue to be guided by community input. The entire Sputnik team would like to thank the community whose input turned a speculative project into a line of products. Your support and input has guided the products from day one and is what keeps the effort moving forward.